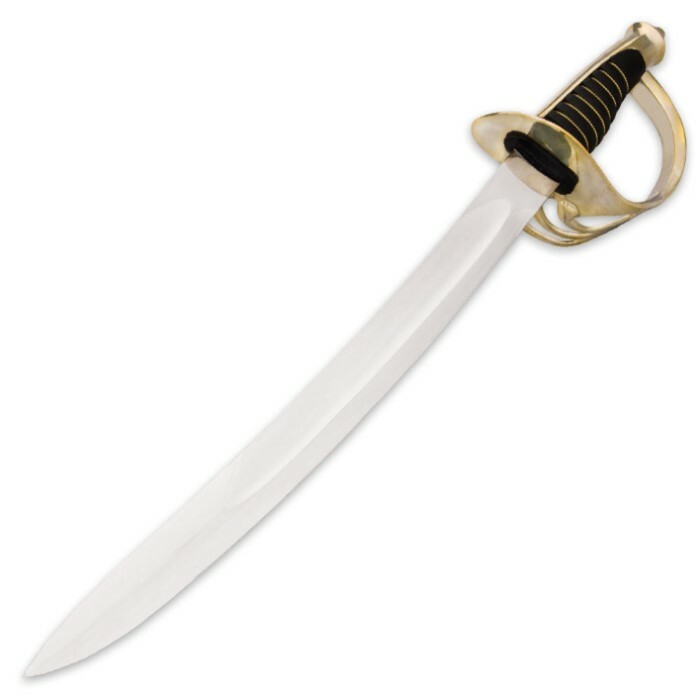 If battling on the high seas is what you dream of then don’t forget to take the Leather Handle Saber Hilt Dagger with you. It will perfectly complete a pirate ensemble. With its 12" hand-polished, high carbon steel blade, it is an impressive piece. 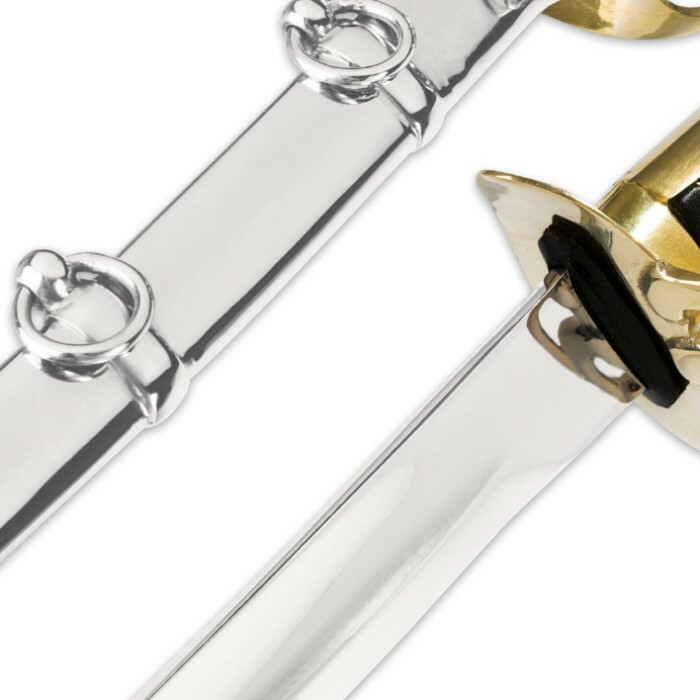 The hand-polished, iron scabbard accented with two rings makes it even more impressive. The elegant handle is made of wood that has been wrapped in black leather and accented with brass wire. 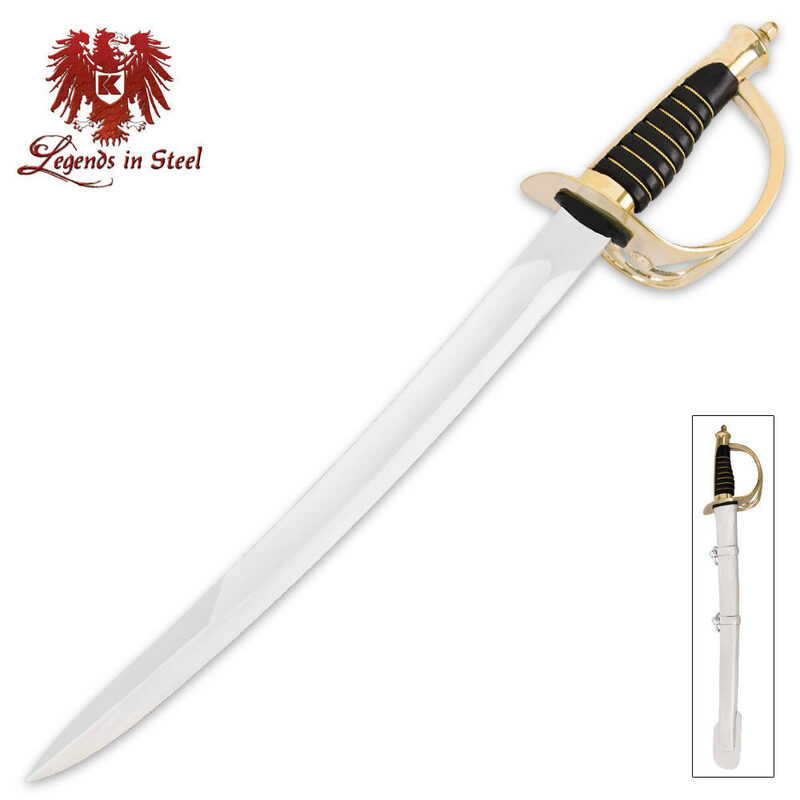 The saber-style hilt and pommel are both of polished brass that adds to its looks of elegance.